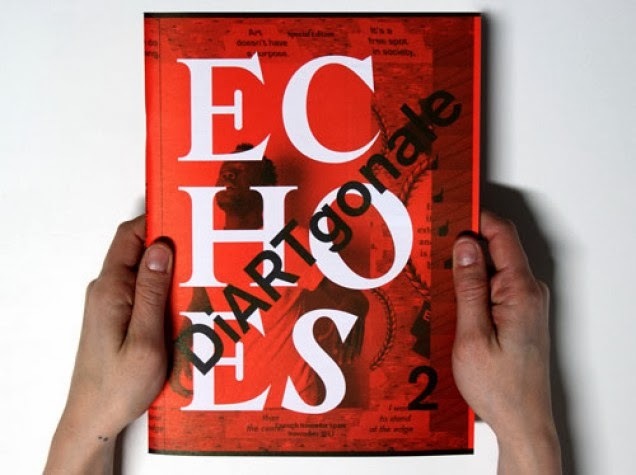 Hosted by the Cameroonian artist magazine DiARTgonale, the two special editions JAMAN (2012) and ECHOES (2013) will present the outcome of a long-term curatorial endeavour, initiated in 2009 by Vision Forum partner Enough Room for Space (more info about our shared project here). A presentation at Wiels in Brussels will open with a lecture by Annette Schemmel entitled ‘Sharing Knowledge, a Perspective on Contemporary Art made in Cameroon’. By means of selected art works she will sketch out the complex network of references on which informally taught artists in Douala rely. Enough Room for Space is a non-profit organization, founded by Maarten Vanden Eynde and Marjolijn Dijkman in 2005, that initiates and coordinates events, residencies and research projects. ERforS aims to challenge the barriers between different disciplines, be they artistic, scientific or activist. From 20:30 to 00:00, the event will continue with an exhibition at the new Headquarters of ERforS, located at Sterstraat 10 Rue de l’Etoile, Drogenbos (Tram 82 at WIELS, direction Drogenbos Château/Kasteel, stop Grand’Route/Grote Baan).